Posted: Wed Oct 24, 12 4:48 pm Post subject: Re: Any help please? 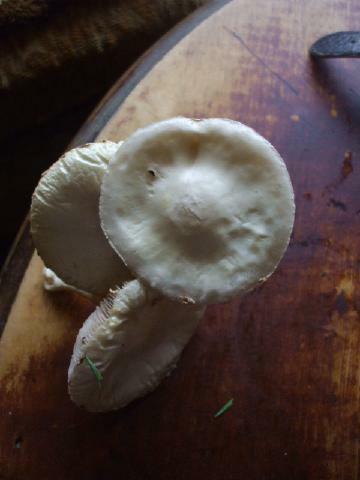 I found these in some shady woods just growing out of the bare ground. 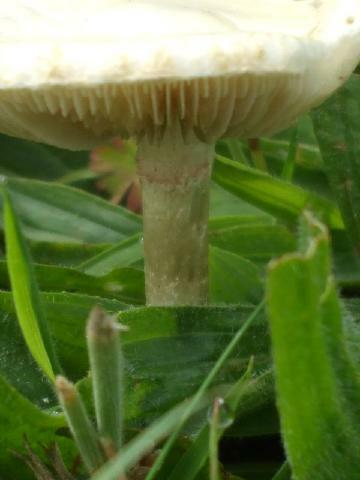 Smell strongly of mushroom, surprisingly! I think they're St George's but not 100%. 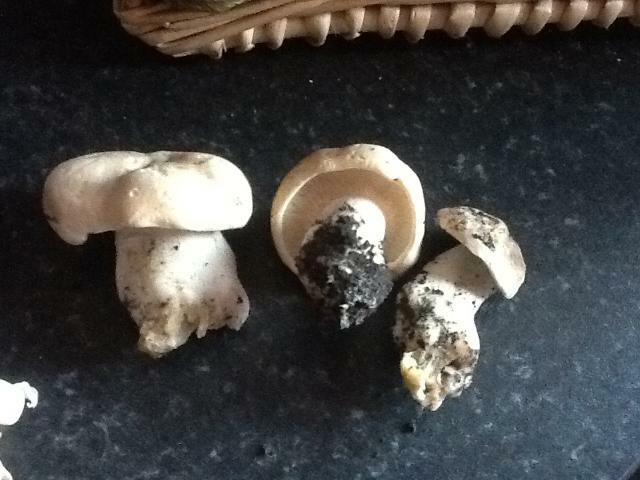 Are there any poisonous mushrooms that look similar to St George's? Hello there. Welcome to Downsizer. St Georges don't seem to grow round here, so I can't help with the id, but if you wait a day or two someone will be along to help I'm sure. 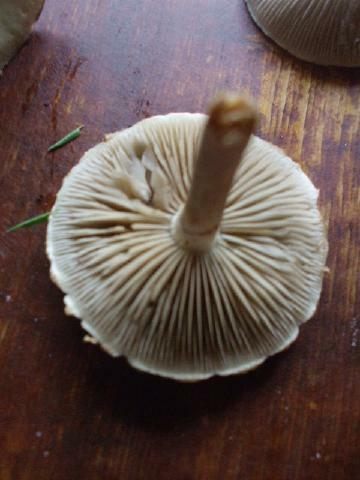 While you're waiting do a spore print and take a photo of a section through one of the 'shrooms. 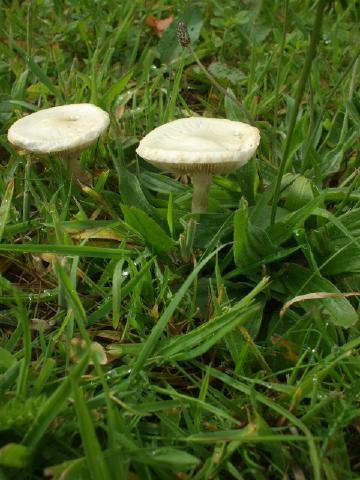 Found these in the Forest of Ae in Dumfriesshire..there are masses of them this year. They seem to be on stalks like cherries, have vicious thorns like plums,but in crosssection look like apples!! me too, they do look very crabby from most directions. I posed this on a Wild plant i.d.group on fb..the consensus there is that they are true wild crab apples. The European crabapple (Malus sylvestris), native to the Ireland and the United Kingdom, is dense and thorny, growing from 15 to 18 feet high. Most of the crabapple trees seen in the U.K. and Ireland are hybrids between wild crabapple trees and domestic trees. True wild European crabapple trees are rare. The American crabapple (M. coronaria), native to the Midwest and Eastern United States, known for its pink and white blossoms, is a dense snarl of thorny branches growing up to 25 feet tall. European and American crabapples often have multiple trunks, and their interiors are often dead from the lack of sun penetrating the thorny snarl of their crowns. The European crabapple is found in areas of native scrub in older woodlands. American crabapple trees like moist, well-drained soils and typically grow at the edges of woodlands and fields. Their tangle of crisscrossing, thorny branches make them useful for growing as hedgerows.